While gardening the other day, I chanced upon a large spider, a female with an egg sack, in the pot I planned to use. I had David move her to safety (and I moved away safely). I then wondered if there were many spiders printed on transferware. Here are a few. 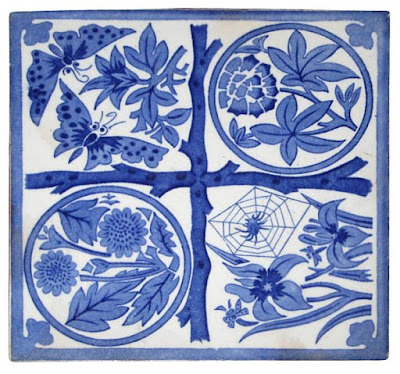 Maker unknown 6.6 inch tile features a large spider and web, ca, 1880. Minton Hollins & Co. (1868-1962) "Little Miss Muffit" 6.6 inch tile, ca. 1880. Baker, Bevans & Irwin (1814-1838) 10 inch plate "The Ladies of Llangollen." The border appears to have spider webs as part of the design. Perhaps I was just desperate to show you another spider pattern! I didn't find many spider patterns. Perhaps you have some to show me. Please! 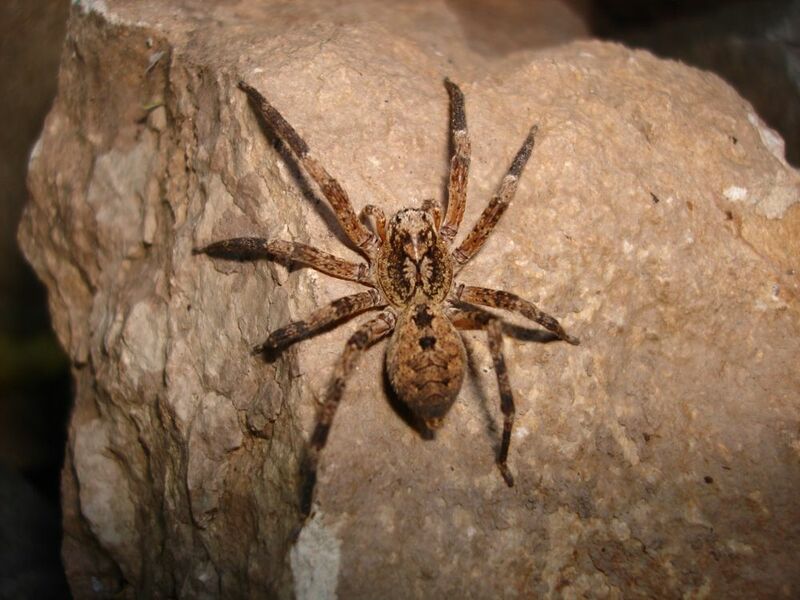 You might want to read about the wolf spider (see the link above). It's rather interesting. I have lived in California since 1971, and this is the first time I have seen one. 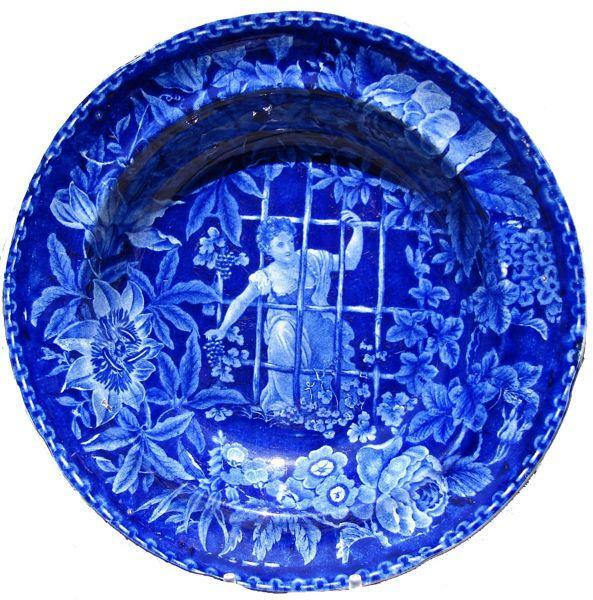 It is with great sadness that I write another post about murder. Destructive behavior is part of being human, so I strongly want weapons designed for the military to be kept out of the hands of civilians. I need not elaborate. It's simple. June 6 is National Eyeware Day (also D Day). There appears to be a special day for just about everything! Eyeware Day gives me a chance to show you one of my favorite patterns. It features a boy wearing glasses. It was made by Enoch Wood & Sons (1818-1846) around 1825, and is known as "The Young Philosopher." 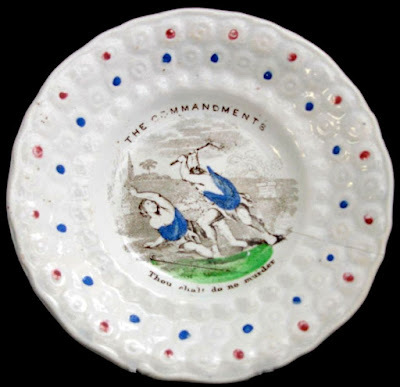 Enoch Wood & sons (181-1846) 10 inch soup plate known as The Young Philosopher, ca. 1825. The boy, who is surrounded by toys, is reading a book. I think his mother is asking him to go to bed. Or, clean up his toys. 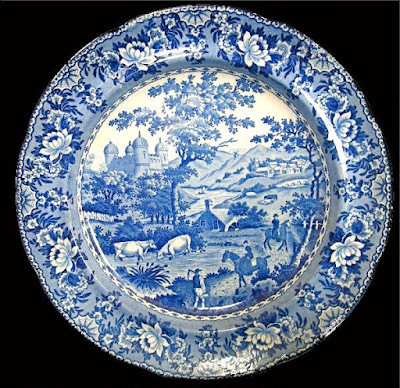 The lush border of passion flowers, roses and auriculas is shared by three other Enoch Wood patterns known collectively as The Cupid Series. 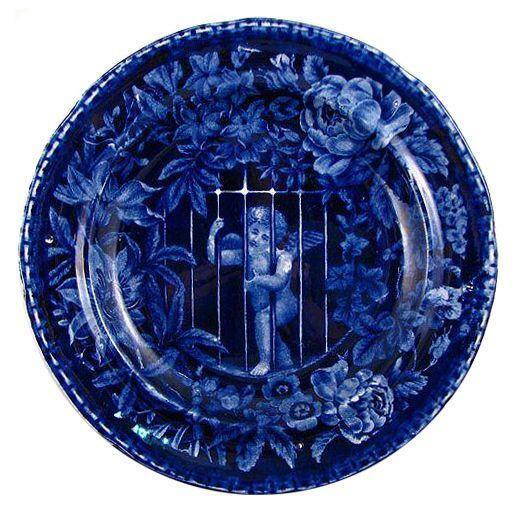 Enoch Wood & Sons 10 inch soup plate known as Girl Behind Grape Fence or Psyche Behind Bars. 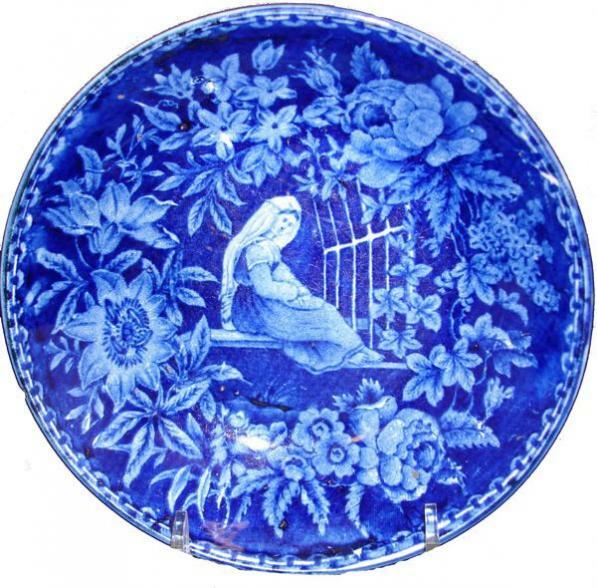 Enoch Wood & Sons 5.75 inch saucer known as The Bride. 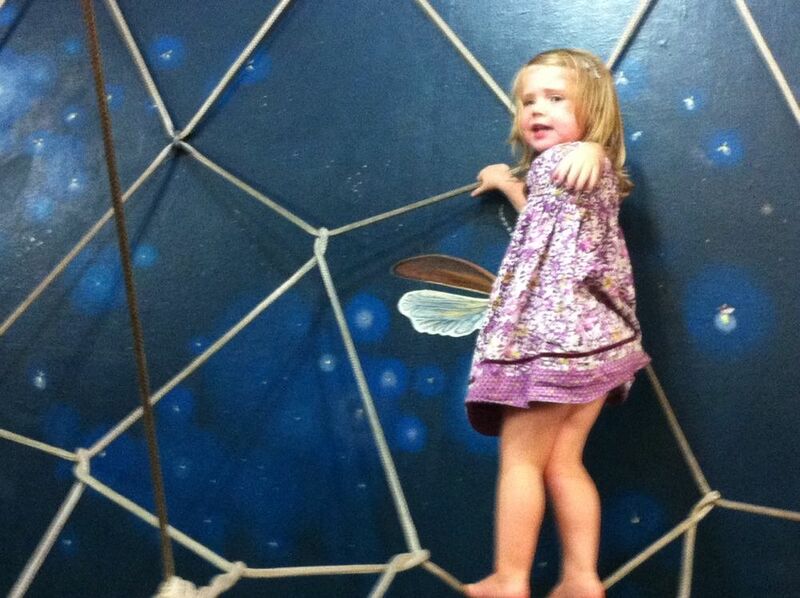 She may be Psyche. As you can see, the three plates above have a unifying theme; longing and barriers. 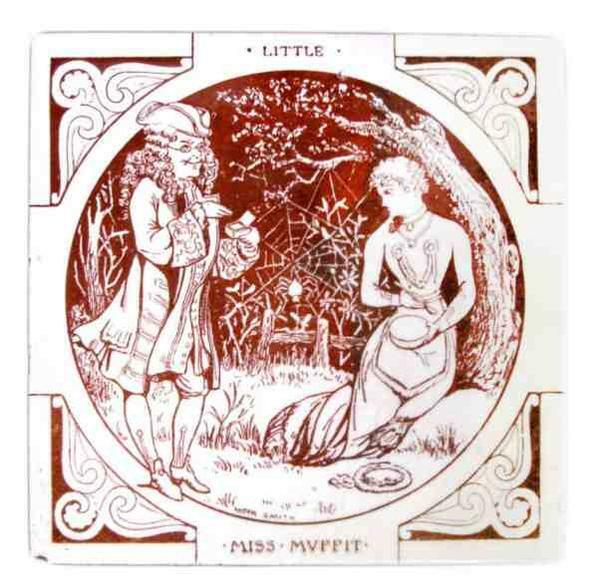 They may even tell the story of Cupid and Psyche (this myth has lots of trials, longing, and barriers to love). 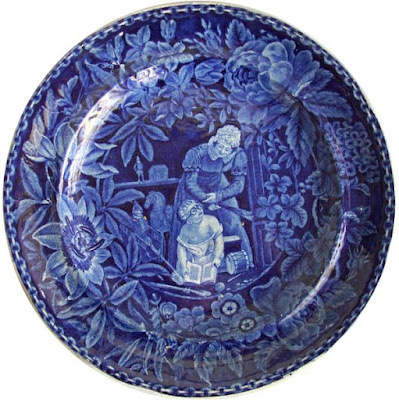 The Young Philosopher pattern (boy with glasses) only shares the border with the Cupid Series. I doubt the mother and boy with glasses are Cupid and Venus. By the way, did you notice that the stringing on the border of all four patterns looks like a chain? If you like cupids, William Adams III (1804-1829) also made a Cupid Series. Take a look at my post "Cupids For Valentine's Day." I digress, as usual. 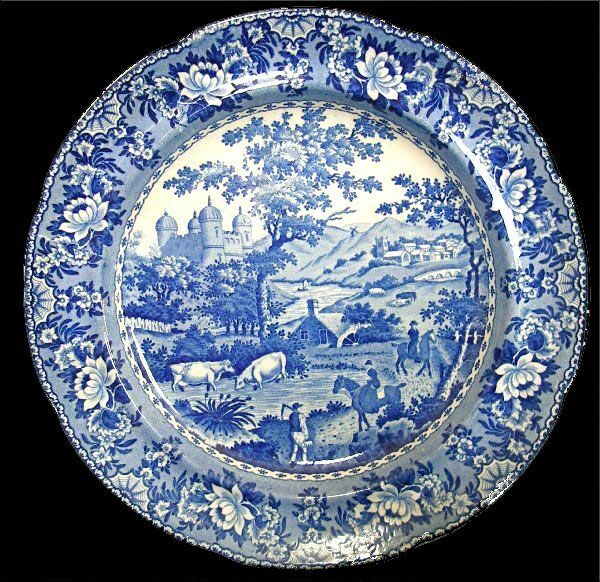 However, when you love transferware, one good pattern does lead to another. Happy Eyeware Day!